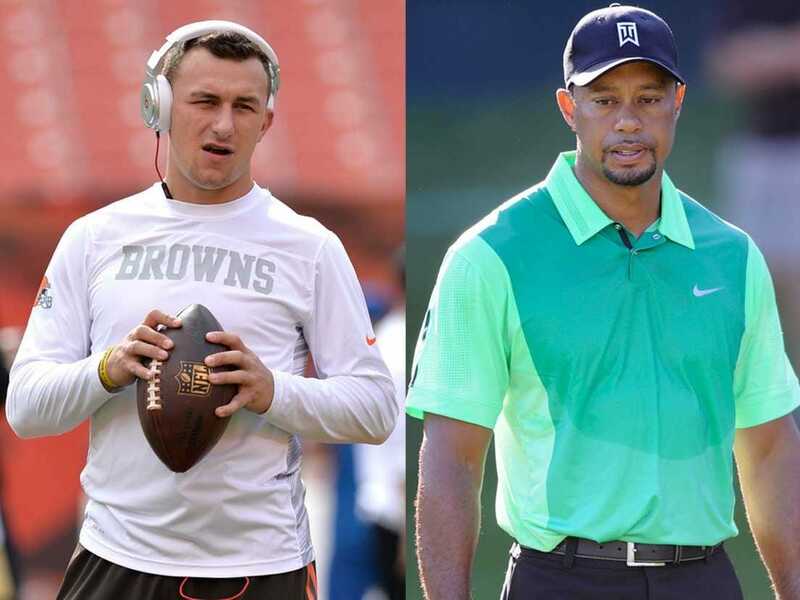 Tiger Woods and Derek Jeter were the two premiere athletes in Johnny Manziel’s life as a kid. He grew up playing baseball and football, primarily, but he also took up golf at a young age and played it until other sports took over, according to a Golf Digest profile. Manziel claims Woods was his favourite golfer growing up, and recalls a story of when he and some friends went to watch Woods play at a local golf course in Windermere, Florida. Manziel claims he was nine or ten years old at the time. For Manziel, who says he asked his dad to buy him the same putter Tiger used, it was devastating… for a day. Manziel claims he got over it pretty quickly. And sure enough, Manziel has been good about signing autographs.